Well I was going to write this post earlier today, but was still in a cookie party coma. The sugar (alcohol) haze has lifted and I am excited to share some of my party staple must-haves. This is my 5th year in a row hosting a cookie and ornament exchange with my girlfriends. I try to host 2-3 parties a year (kiddie parties not included), and have come up with some of my favorite items that are worth buying that will fit into any party theme and budget. I’ve learned something new with each passing party and definitely have started to realize which items are always good to have on hand. Here are my Monday Must-Haves: party style! My drink-ware sophistication level has gone from red solo cups, to paper cups, to plastic wine glasses, to mason jars (also a good staple), and have realized you just need to stock up on wine glasses. I realize not everyone can keep a fully stocked bar cabinet of 30+ matching wine glasses for the occasional party so I think these Ikea wine glasses are the perfect solution. 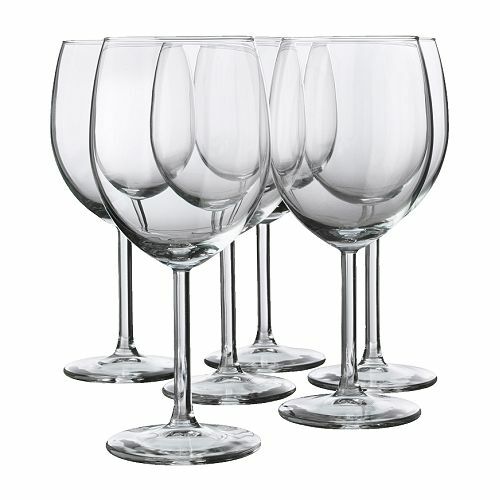 For under $5.00 you get a 6 pack of either red or white wine glasses. You can buy cases of 15 too and they come boxed up in small cardboard carrying box. Buy a few sets, in a few carrying boxes, keep them stashed away in the garage and you’ll always have wine glasses ready go for parties big or small. And if some break, no big deal…they are inexpensive and Ikea will always carry replacements. Gone are the days of wine charms in my house now that I have discovered these. I have put name tags on drinks (time consuming), added names to straw flags (but who drinks wine with a straw? ), used wine charms (but no one remembers which charm is theirs)….then, I found these online. Gold and silver metallic wine glass markers. As each guest arrives I write their name on the base of their glass, pour them their drink of choice, and off they go with their personalized glass. The best part is it stays on the entire party, but washes right off with soap and water. These markers are also super cute if you want to personalize wine bottles as gifts with a little message on the glass to the recipient. Cute right? A total must have! I Amazon Primed these puppies right to my house for this past cookie party and loved them. At under $5.00 each including shipping I was shocked by their large size and awesome quality. 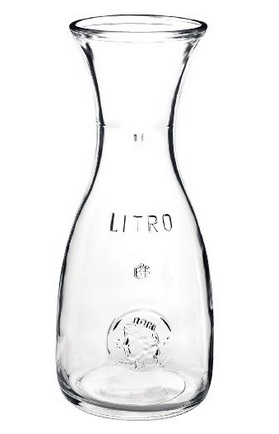 Line a few up for a mimosa bar, pour white wine in one and red wine in another, use them for cocktail mixers…put the juice-filled carafes on ice and instantly looks like you tried a little harder than putting cartons of orange and cranberry juice on your tabletop. I plan on buying several more of these! Speaking of putting things on ice, I can’t thank my Mother in Law enough for buying me the nicest stainless steel drink tub set last year (from Ballard Designs but since discontinued). I used to just fill my kitchen sink with ice on one side and shove all the white wine and champagne into that. This is what I mean by learning things as I go along. 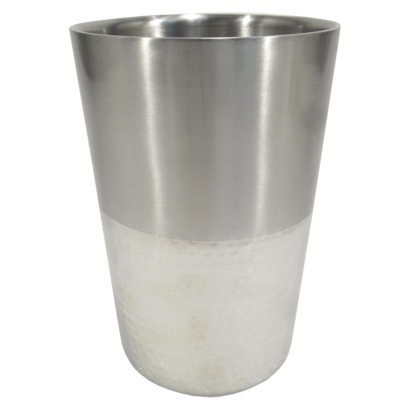 It seems like an obvious item to have if you like to throw parties, but I went years without ice buckets and tubs. This is a definite must-have if for some reason you haven’t added this to your party throwing supply collection. I have an ice bucket, a smaller stainless tub (that I put the carafes in), a large stainless tub for all the wine/champagne/beer bottles and then if you need something for extra big parties a friend turned me onto THIS. 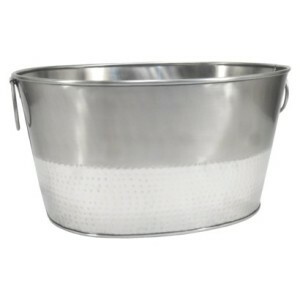 For $20.oo The Home Depot carries giant galvanized buckets that make the perfect over sized beverage tub. I actually use the same bucket to hold our Christmas tree instead of using a tree skirt, but that’s a whole other topic! Ok so I don’t own this yet, but I will. I always just use a large cutting board and a cheese knife set to display my cheeses at parties. This has always worked just fine, but yesterday I realized how often people would ask me “Is this bacon cheddar? OMG it’s so good!”…so while I would love to stand next to the cheese board all day and describe (eat all) the cheese, I think this is going to be my next staple party purchase. Not to mention I’m obsessed with all things chalkboard so this just seems like the obvious choice. Sold! 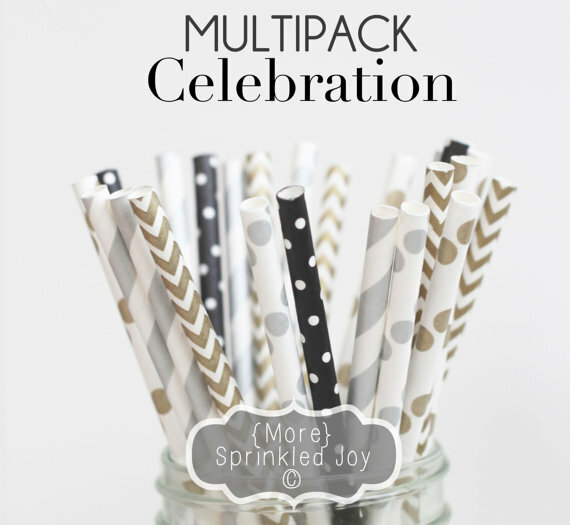 Paper straws seem like another obvious choice, but what I think is fun to do is collect all different colors and styles over time (especially when you see VeryJane.com is doing a paper straw sale which they often do). Keep a whole stash ready to go, and then when you decide to throw a party you can mix and match what you have to whatever theme your party may be. They are also just nice to have on hand for an impromptu girls night in, or even if you just feel like drinking your morning smoothie with one. There is something about them that makes you and your guests feel special and girly. 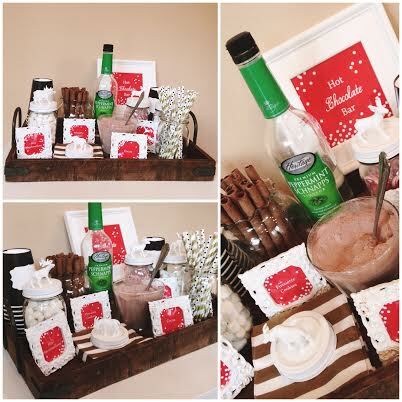 Plus don’t they just look cute mixed in with my hot chocolate bar from this weekend? I especially like the seller listed above because she does the mix and matching for you! Lastly, I will never buy plastic utensils again for any larger parties. 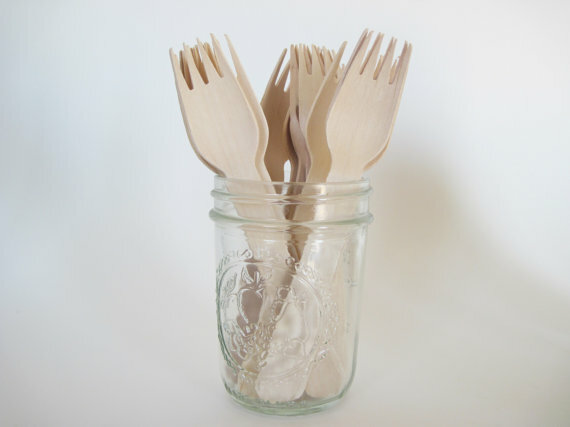 For not much more money you can stock up on cute wooden cutlery. Not only do they look way better than plastic ones, but they are so much better for the environment, are sturdy, and go with any party decor. Although it’s a small detail, it’s definitely one your guests will notice and appreciate. I don’t have it photographed because there are so many styles out there, but I definitely recommend slowly adding to your serving trays and bowls collection too. Stick with simple, white ceramic and you will be surprised just how many uses you will get out of them. 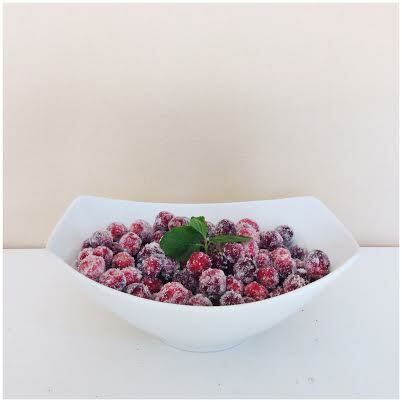 I have about 6 white trays and several white serving bowls of various sizes. It’s worth investing in some nicer ones, you will be surprised how often you will find yourself using them! Don’t you just want to go throw a party now? New Year’s Eve is right around the corner and if I decide to throw an impromptu party I can do so panic-free knowing I have all these party must-haves on hand and ready to go! I hope you found some of these helpful. Now go stock up on your supplies, call some friends and get to celebrating! Hope you have a festive and fun-filled week! I love the wine bottle markers! SO much easier than constantly having to remove wine glass charms when washing glasses. 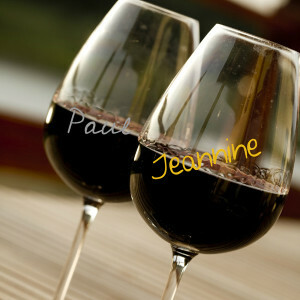 I may be purchasing some wine glass markers – genius. And I couldn’t stop laughing reading “as much as I would love to stand by/eat all if the cheese…” – hilarious. I have a slate cheese board and I recommend it for sure. Sigh… I would SO want to be friends if we were local. Except your parties would be way more frequent and fun than mine. We would really have a blast being neighbors wouldn’t we? I do enjoy our virtual friendship, however I think toasting some wine together in person would be much more fun! 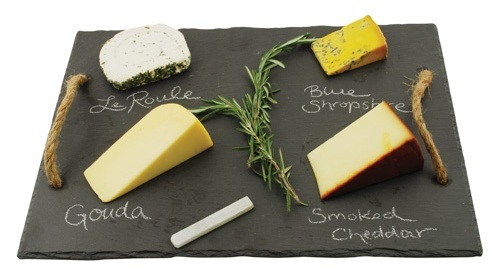 I love a good slate (chalkboard painted is what I currently have) cheese plate. So handy to have! Those wine pens need to be mine asap! What awesome finds! 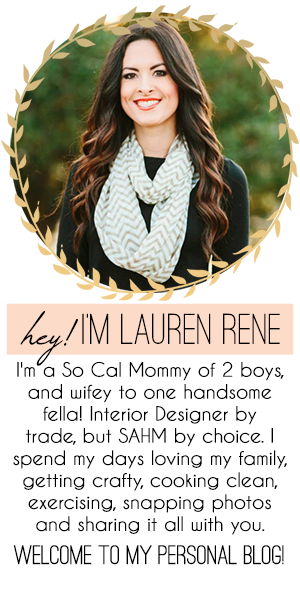 I LOVE the blog makeover!! Wow! These are some cool and fun suggestions! I love the marker idea! Wish I had time (and room) to plan parties! I seriously don’t know how to manage to do all the things you do with two kids! I have two and I barely have time to shower sometimes lol! Oh, this is Lorena from IG! I just checked the wrapp app and they still have the $25 gift for Rent the Runway!